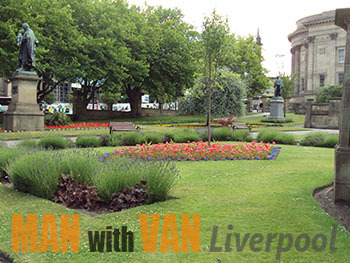 Placed in the middle of the district of the same name, Sefton Park has a size of 235 acres. It was designated by English Heritage at Grade I in the Register of Historic Parks and Gardens. The origins of the park can be found in the Royal Deer Park of Toxteth, but it was truly developed as a public park in the middle of the 19th century. It is home to the Sefton Park Cricket Club, and has a tennis court, football field, bowling green and many more great facilities. Notable features include the Palm House, the Shaftesbury Memorial and Eros Fountain, and quite many others. If you want to check out of the big city for at least a little time, then you should definitely go to the Wirral Country Park. 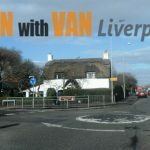 It is located along the so called Wirral Way, which actually follows the track bed of part of the former Birkenhead Railway route from West Kirby to Hooton. Work on the park began in 1969, and it was eventually formed four years later in 1974. The park is known for its varied wildlife, which includes badgers and foxes, among other things and many kinds of plants as well. The Wirral Country Park is the perfect place for a walk on a nice and sunny weekend. Located just next to St John’s Hall are the so called St John’s Gardens, which are considered to be part of the William Brown Street conservation area. Since 2003 it has been a Green Flag park. 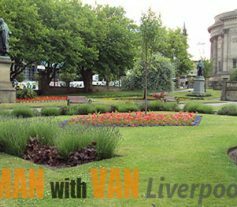 There are several things thanks to which the St John’s Gardens stand out among other public green spaces in the city of Liverpool. On one hand it contains some of the most beautiful ornamental flowerbeds that you will see anywhere in the country. Then again, there are the many memorials dedicated to notable people from the city. Each of the statues in question is individually designated as a Grade II listed building by the National Heritage List of England. Some of the most notable people who were commemorated by statues in St John’s Gardens include W. E. Gladstone, a former Prime Minister, Alexander Balfour, businessman and philanthropist, James Nugent, a Roman Catholic priest who worked with child welfare and quite many others. 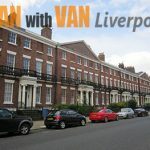 Another thing to have in mind is the fact that many of the fine open green spaces around Liverpool have spurred the development of very comfortable residential areas like Sefton park in their vicinity. 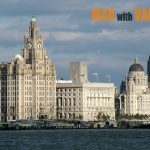 Here you will find some of the best places to live in Liverpool for sure.